The literature and culture of Humanism and the Renaissance in Slovakia developed mainly thanks to King Mathias Corvinus, whose name is also linked to the establishment of the university known as Academia Istropolitana (1465) in Bratislava. The development of literature during this period was associated with the development of the school system, which took place in parallel to the spread of Reformation in the whole territory of Slovakia. This is particularly true with regard to urban schools, for instance the urban school in Bardejov during the period when the Bardejov native and Wittenberg University alumnus Leonhard Stoeckel was active there. Where Slovak literary development is concerned, Stoeckel was noteworthy for the fact that several high-profile authors of the Slovak literature of Humanism, such as Martin Rakovský, received education under his tuition. Humanist-oriented literary output appears in Slovakia in particular from the 1540s until the mid 17th century. Only a few authors stand out among the literary production of this period. Pavol Rubigal, a poet of German origin, is noteworthy for the poems he wrote in Latin. His relatively small body of poetic work focused on a single yet significant political topic – the Turkish threat to the ethnic Slovaks. 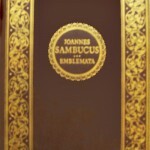 Ján Sambucus, an imperial historiographer in Vienna, presented himself in a collection called Poemata with a ‘Ciceronian’ high poetic style and rationalistic matter-of-fact approach to his themes. Through his collection Emblemata he introduced an emblematic poetry genre into Slovak literary humanism. Most representative of the Slovak poetry of humanism written in Latin, however, was Martin Rakovský. He left a relatively large, multi-thematic and multi-genre body of poetic work, but it was his second collection of poems known as Elegiae et epigrammata (Elegies a Epigrams, 1556) that was particularly exceptional. Rakovský’s most important socio-philosophical piece of poetry may be considered to be De magistrate politico libri tres (Three Books about the Worldly Establishment, 1674), which he gave as a present to Emperor Maximilian II to express his personal views on the socio-political issues surrounding the correct administration of a nation. Czech exile Jakub Jakobeus became part of Slovak humanist culture by writing his elegiac poem Slzy, vzdychy a prosby slovenského národa (The Tears, Sighs and Pleas of the Slovak Nation, 1642). Juraj Koppay authored a poem entitled Dvorský život (Court Life, 1580) which emphasised the civil and moral aspects of human life. Ján Sambucus, Ján Filický and Ján Bocatius, on the other hand, were successful in the minor poetic genres. Vavrinec Benedict from Nedozery was a bilingual author. He wrote quite a few occasional formally-polished poems in Latin, however his major poetic work dating from 1606 was written in Czech. It is a collection of paraphrases on the selected biblical psalms of David entitled Aliquot psalmorum Davidicorum paraphrase rhytmometrica. Czech became a liturgical language of the Protestants and simultaneously the language of religious poetry. The author of psalm lyrics was John Silvanus, writing in Bohemia. His most famous collection became Písně nové na sedm žalmů kajících a jiné žalmy (New Songs on Seven Penitential Psalms and Other Psalms, 1571). Eliáš Láni and Daniel Pribiš were equally writers of spiritual lyric poetry. An example of the love poetry of this period is a collection of eight songs in the codex of Ján Jób Fanchali (the Fanchali Codex) which were inspired by court lyrical poetry. During this period dramatic work emerging out of the need to open a broad discussion on various topics regarding secular and religious life was also being cultivated in the then Slovakia. Particularly popular was a Renaissance comedy genre relevant especially for tackling issues of burgher life. 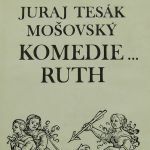 These burgher life issues were elaborated in the comedies of Pavel Kyrmezer, who was writing in Moravia and Bohemia, and in Juraj Tesák Mošovský’s drama book Komedie z kníhy Zákona božího, jenž slove Ruth, sebraná (Comedy Taken from the Book of the Law of God and the Word of Ruth, 1604).